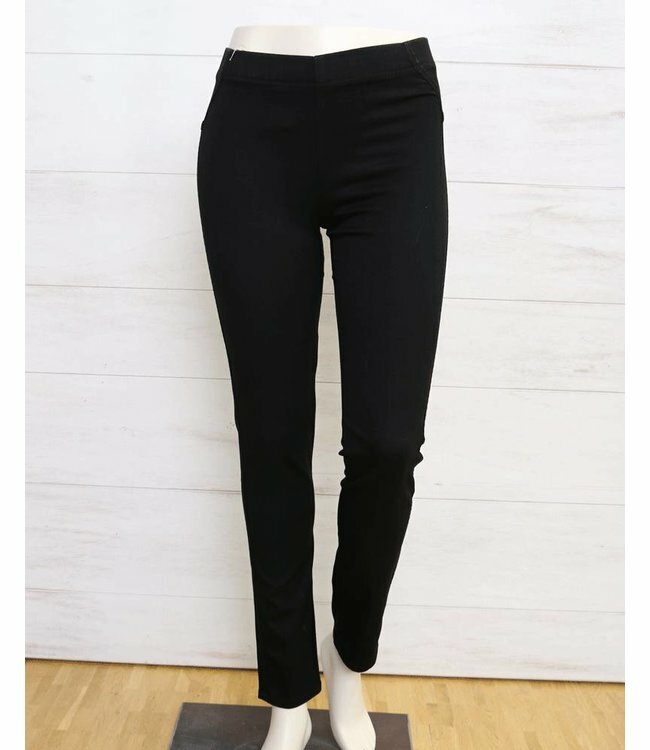 Closely fitted, slightly stretchy jeggings in denim black. Wide elasticated waistband. Very comfortable to wear and with beautifully clean lines. A superb basic item that can be combined with a wide range of outfits.